Diatomaceous earth (D.E.) is mined and is the fossilized exoskeletons of tiny diatoms. They are used to coat "grids" in the filter housing and act as tiny sieves allowing for the removal of debris as small as 5 microns. 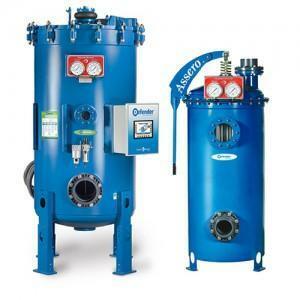 Once the pressure rises, the filter is backwashed just like a sand filter and then "recharged" with more D.E. powder. D.E. is historically the media of choice for the designers of some of the largest and most beautiful pools in the world. It is now more practical for all backyard pools as well. System 3 brings you the proven performance of Sta-Rite’s diatomaceous earth media in the world’s safest and easiest-to-operate filter. The greater cycle times and minimized maintenance of the System 3, coupled with Sta-Rite’s superior grid system, gives you the finest D.E. filter available. Sta-Rite is proud to bring you the proven technology of System 3 Modular Media into the world of D.E. With it’s perfectly balanced flow and integral manifold design, the System 3 Modular D.E. filter brings pool filtration to new heights. Available in 2 sizes, 60 and 72 sq. ft., System 3 Modular Media D.E. 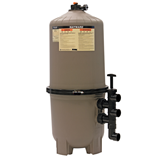 filtration will bring years of sparkling clear water to your customer’s pool or spa. 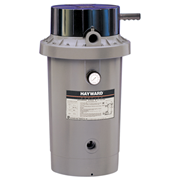 For cleaning, simply remove filter lid and hose off in place. No more hassle of tearing down the grid assembly for cleaning and servicing. The balanced flow design allows for a constant D.E. cake on the entire module, assuring full optimization of the module and longer cycles between cleanings. A Vacuum D.E. 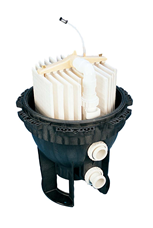 filter has a main recirculation pump that draws water through the filter media and pushes it to the heater and returns. The Defender® Regenerative Media Filter is an award winning water filtration system capable of filtering down to 1 micron and requiring no backwash. It provides maximum performance, longevity and user friendliness while helping to reduce the global water footprint— an outcome that is good for the planet and our resources. Designed with performance in mind. All vessels are conservatively engineered and manufactured with Flexsol 3000™ interior lining and include a 10 year fully rated warranty. The Defender utilizes an intuitive graphic interface for controlling and monitoring all of its operations. It features an animated graphic display, advanced communication & data logging, automated capabilities, remote monitoring capabilities, VFD connectivity, and UV connectivity. 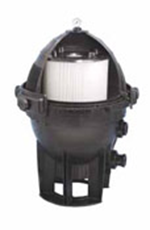 At the push of a button, a self-contained, integrated pump quickly introduces dry media into the Defender® filter. This feature eliminates the mess and additional equipment required by wet, slurry designs. 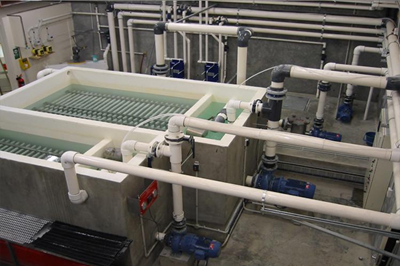 The Defender® filter is programmed to automatically “bump” on a daily basis to regenerate the media coating of the “Flex Tubes.” This incredible benefit maximizes system performance while enhancing sustainability and conservation.